Dr. Mahathir is a compelling figure that Malaysians both love and loathe. He inspires and exasperates in equal measure. When he turned up at the BERSIH rally, demonstrators who were, in effect, protesting the corrupt and abusive system that he left behind, were thrilled and inspired and rushed to be photographed with him. I dare say that many more were encouraged to attend after he appeared to endorse the demonstration with his presence if not his pronouncements. 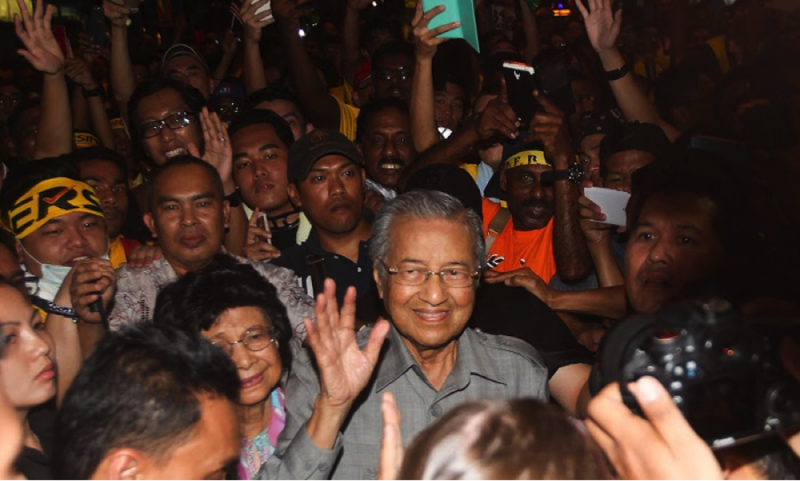 Or perhaps it was the presence of that lovely and graceful lady, Dr. Siti Hasmah, Mahathir’s spouse, who appeared to relish the display of “people power” she saw all around her and cheered them on. But Mahathir is not Mahathir unless he is simultaneously enigmatic, incongruous and contradictory. And so he attends the demonstrations, not once but twice, receives the adulation of the crowds and then promptly declares that he doesn’t support the goals of BERSIH. 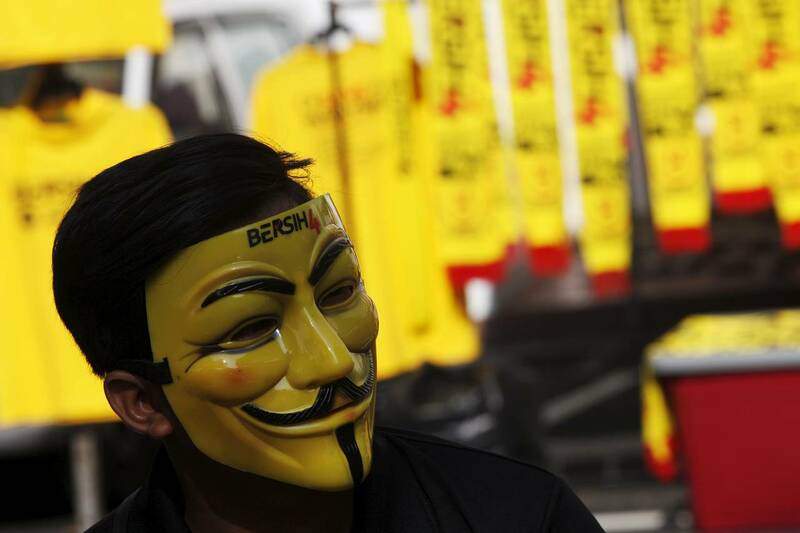 Apparently, he is there to support the people who support BERSIH without supporting BERSIH itself. Go figure! To stand in the midst of people who risk the wrath of their government to participate in BERSIH, receive their adulation and then disassociate himself from the aspirations of their struggle, is nothing short of a stunning let down of the very people he claims to support. He also keeps insisting that while he wants the nation to back him in getting rid of his protégé, the incumbent prime minister, he wants his party – UMNO – to continue in power. Clearly, he’s not interested in reform; he’s just looking for a better, more competent person to extend the shelf life of a political party that most Malaysians have already rejected. Malaysians, however, want more: a complete overhaul of the system – genuinely free and fair elections, a government that is accountable to the people, respect for our democratic and constitutional rights and freedoms and, an end to corruption and malfeasance in high places. Furthermore, Dr. Mahathir himself has repeatedly said that UMNO parliamentarians and senior party leaders have been bought off or bribed by Prime Minister Najib and are no longer capable of acting in the best interest of the nation. If that is the case, it simply makes no sense to look to UMNO-BN to save the nation or expect that another leader cut from the same cloth would be any different. Didn’t Einstein say that insanity is doing the same things over and over again and expecting different results? The very logic of Mahathir’s own rhetoric should compel him to abandon UMNO and support institutional reform. If he is truly convinced of his own arguments for the removal of Najib, there’s no reason for him not to endorse BERSIH completely. But then, Mahathir is Mahathir. What a conundrum we now find ourselves in – the only man who could possibly lead the charge for change is the same man fighting to forestall meaningful change. Years from now, when we take stock of the history of these tumultuous times, I wonder if we will not come to view Mahathir’s ‘BERSIH’ moment as a lost opportunity – if only he had stood there and rallied the nation to the cause of freedom and justice, the momentum for change would have been unstoppable. And he himself, despite the damage he did, would have secured his place in history as one of the great leaders of our time. As it is, we might have to endure yet more years of agony before we can again breathe the free air of democracy. While it thrilled me to see thousands of my fellow citizens don their yellow tee-shirts and brave threats and intimidation to take a stand for justice, it was sad to see Dr. Mahathir dash our hopes for change once again.